Topaz carries the products you need, always in stock and ready for fast delivery. 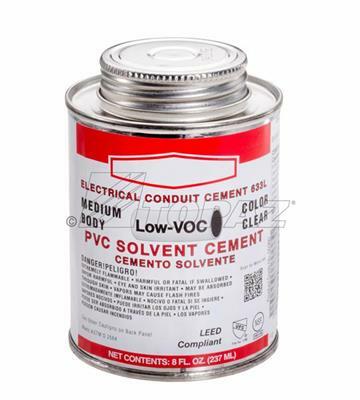 Our Conduit Cement is available in 2 formulas including cold weather for faster setting in 1/2 pint, pint and quart sizes. Will create a secure, long lasting bond; recommended for use on duct and conduit PVC pipe.